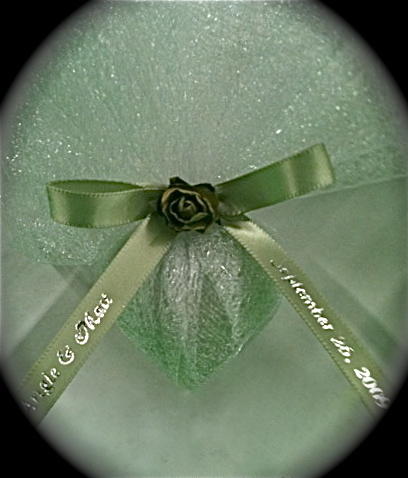 This kit includes 25 hand poured heart candles, 25 pieces of tulle, 25 imprinted satin ribon, and 25 small paper rosebuds. Assembly is not included and costs an extra .75 per favor for assembly. *During warm months an additional $10.00 cold packing fee will apply, as well as overnight shipping charges. Call for pricing.